Micro USB-Kabel Ladegerät kompatibel mit Poweradd Ultra Slim. -Poweradd Ultra Slim, Pilot X1, X2, X3, X4, X5, X6, E. Compatible Models Poweradd Ultra Slim, Pilot X1 X2 X3 X4 X5 X6 E. HQRP micro-USB (Typ B), Kabel (Typ A);. Poweradd Ultra delgado, piloto X1, X2, X3, X4, X5, X6, E. HQRP micro USB (tipo B) al Cable del USB (tipo A);. Compatible Models Poweradd Ultra Slim, Pilot X1 X2 X3 X4 X5 X6 E. Piloto X1, X2, X3, X4, X5, X6, EExternal batería Power Bank. HQRP micro USB (Type B) à un câble USB (Type A) ;. -Poweradd Ultra Slim, pilote X1, X2, X3, X4, X5, X6, E. Compatible Models Poweradd Ultra Slim, Pilot X1 X2 X3 X4 X5 X6 E. Pilote X1, X2, X3, X4, X5, X6, Eexterne batterie Power Bank. 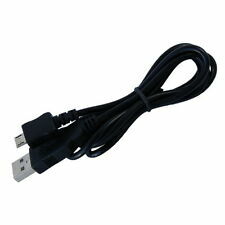 Micro USB cavo caricabatterie compatibile con Poweradd Ultra Slim. -Poweradd Ultra Slim, pilota X1, X2, X3, X4, X5, X6, E. HQRP micro USB (tipo B) a cavo USB (tipo A);. Compatible Models Poweradd Ultra Slim, Pilot X1 X2 X3 X4 X5 X6 E.
Poweradd- Power your life. 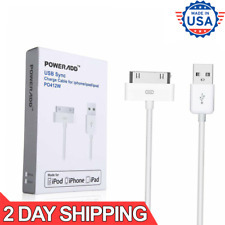 Poweradd 30 pin USB and cable - certified by Apple. Charging and Syncing your iPhone, iPad or iPod to Mac or windows PC. - Interface: Dock to USB 2.0 Type A. Durable Apple 30-pin connector to USB Type A cable. Poweradd 30 pin USB y cable - certificado por Apple. Color blanco. Certificado por Apple (MFi), cumple / supera los estándares de rendimiento de Apple. Compatible con iPad 1/2/3, iPhone 4 / 4S, iPhone 3G / 3GS, iPod nano 5ª / 6ª generación y iPod Touch 3ª / 4ª generación. 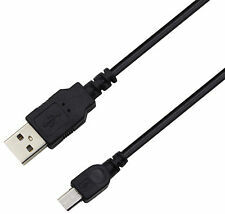 Poweradd Ultra Slim, Pilot X1, X2, X3, X4, X5, X6, E. HQRP micro USB (Type B) to USB (Type A) Cable;. HQRP trademarked products. Pilot X1, X2, X3, X4, X5, X6, EExternal Battery Power Bank. 100% Compatible with Original USB Cable;. Cable length: 80CM/2.5ft. 1 x USB Cable. Support Scalable power charging. Charging and Syncing your iPhone, iPad or iPod to Mac or windows PC. Durable Apple 30-pin connector to USB Type A cable. Compatible with iPhone 3G/3GS/4/4S, iPad 1/2/3, iPod nano 5th/6th generations and iPod Touch 3rd/4th generations. Charging and Syncing your iPhone, iPad or iPod to Mac or windows PC. Compatible with iPad 1/2/3, iPhone 4/4S, iPhone 3G/3GS, iPod nano 5th/6th generations and iPod Touch 3rd/4th generations. Durable cable jacket protects wire cores and resists kinks and tangles, lightweight and easily coiled, highly durable construction for reliability. Durable cable jacket protects wire cores and resists kinks and tangles, lightweight and easily coiled, highly durable construction for reliability. Compatible with iPad 1/2/3, iPhone 4/4S, iPhone 3G/3GS, iPod nano 5th/6th generations and iPod Touch 3rd/4th generations. Charging and Syncing your iPhone, iPad or iPod to Mac or windows PC. Apple 30-pin connector to USB Type A cable.